- Size: 3/16" - 3/4"
We are engaged in offering our customers a wide range of Riveting Gun that are typically used to drive rivets and are pneumatically powered. We have been counted amongst the most trusted names in this domain, engaged in Electric Rivet Gun. 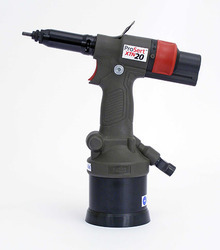 We are an acclaimed firm included in offering an extensive variety of Rivet Gun. These firearms are made utilizing premium quality crude materials. These are accessible to customers at conservative costs in various particulars. These bolt firearms are dimensional precise. Their establishment and upkeep procedure is simple. We are engaged in offering our customers a wide range of Riveting Guns that are typically used to drive rivets and are pneumatically powered. Our range of rivet guns is available in different dimensions and standard specifications to cater to the diverse requirements of specific application needs. 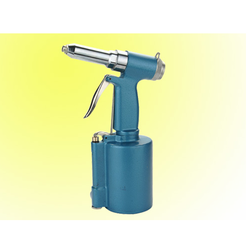 Being a customer oriented organization, we are deeply engaged in offering a wide array of Air Hammer Pneumatic Rivet Gun.